Craving culture, adventure and some much-needed R&R? 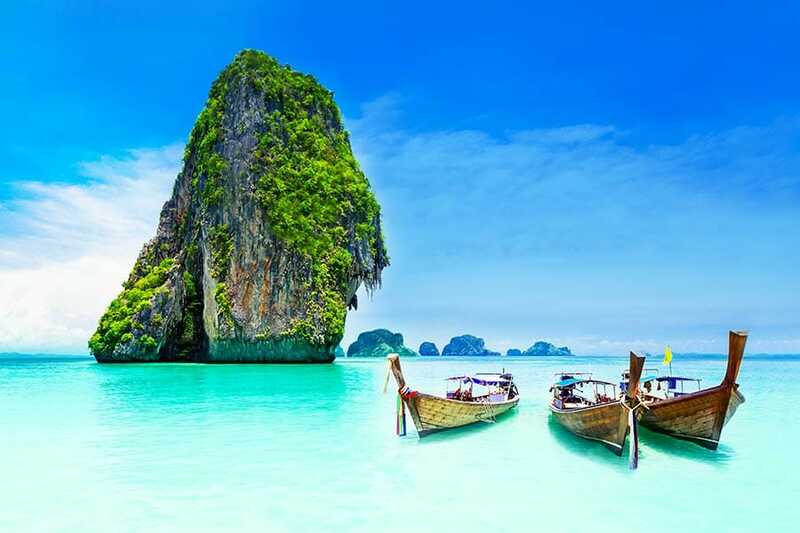 Look no further than a trip to Phuket! The most popular spot in Thailand has something for everyone with countless exotic food and cultural tours, bustling local markets, traditional cooking classes, volunteer programs, elaborate shopping to satisfy even the most hard-core haggler and much more! Bask in your secluded plunge pool overlooking the vast Andaman Sea off Phuket’s west coast during your stay at Kata Rocks Resort or head to Patong for unbeatable shopping and buzzing nightlife. For the water-lovers, board your private speedboat out to Phi Phi Island for some of the world’s most magnificent snorkelling and scuba diving reefs. Don’t miss out on the incredible night markets where you’ll follow your nose through the maze-like food stalls serving inexpensive and fresh seafood. Treat yourself to daily massages during your stay at Diamond Cliff Resort & Spa or find a traditional massage parlour on almost every street corner. If this isn’t enough, trek deep into the intricate jungle and get up-close-and-personal with the beautiful elephants. Sip a cold beer or tropical cocktail at The Pavilions Phuket’s 360º Bar or meander along white-sand beaches as the sun sets over turquoise waters. Although this city forms the 2nd smallest province in Thailand, the intimate 576sq. kilometers offers limitless Thai experiences and the freedom to write your own Phuket story!